The Berkeley Arts Council in Martinsburg, West Virginia announces the Eastern West Virginia Juried Exhibit, to be displayed in the Berkeley Art Works Gallery, 116 North Queen Street in Martinsburg. The exhibit will be on display September 6-29. There will be an opening reception on on Saturday, September 7 from 5-8pm. The exhibit is open to artists in all media who reside in one of the eight counties that compose the Eastern Panhandle of West Virginia. Those counties are Berkeley, Jefferson, Morgan, Hampshire, Hardy, Grant, Mineral, and Pendleton. The theme for the exhibit is open. The Juror for the exhibit is Katherine Byrnes, owner of the Bridge Gallery in Shepherdstown, WV. Ms Brynes is an accomplished gallerist and art consultant. Entries must be original works of art that have been completed within the last three (3) years. The deadline for submission is August 5, 2013. Details, including entry forms and the full schedule are posted on the web at berkeleyartswv.org/artworks/ewvexhibit/. For more information contact Rip Smith at 304-596-0873 or email berkeleyartswv@gmail.com. Tuesday Classes range from beginning and intermediate watercolor, beginning and intermediate oil painting and “Art Academy”, a program for young people 12-15 years of age. Wednesday classes cover “Green Sculpture”, Beginning Acrylics and Composition, and Mixed Media and Experiments in Painting. Thursday classes include “Mud Club”, clay play for 6 years of age and up, “JR Potter’s Club”, Clay Techniques for Middle School Students, and an Adult Pottery Class. For more information email berkeleyartswv@gmail.com or call 304-262-1611. 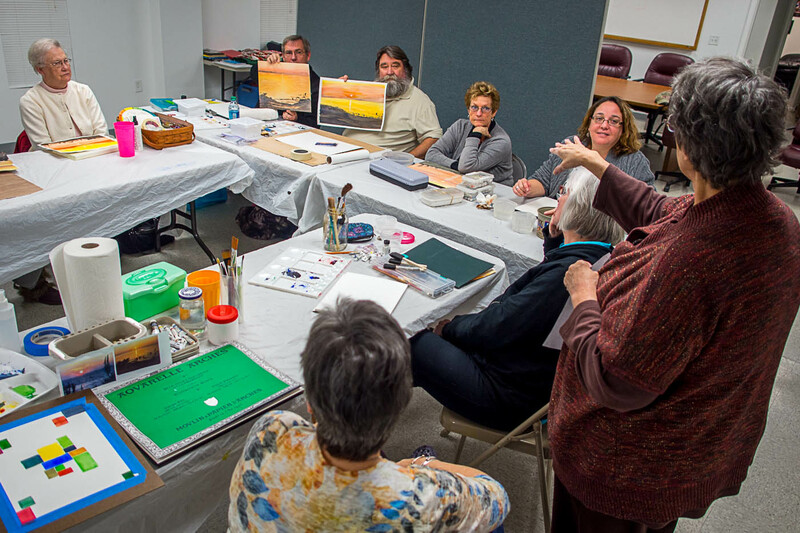 The Berkeley Arts Council announces two acrylic painting workshops with artist Jean Kellogg on Saturday, July 13, 2013 at the new Berkeley Art Works, 116 North Queen Street in Martinsburg. From 9am to Noon, it will be Beginning Acrylics Painting Sampler for High School Students and from 1-4pm it will be Beginning Acrylics Painting Sampler for adults. The Berkeley Arts Council announced today that it will open “Berkeley Art Works”, a new gallery, activity center and arts education facility in downtown Martinsburg, West Virginia. Located at 116 North Queen Street, the refreshed space will support a variety of art exhibits, an artist cooperative, small special events and a range of arts-related instruction. Doors will open in early July with activities that will ramp up to a grand opening celebration August 14 – 17. A growing calendar of events is on the Berkeley Art Works website at berkeleyartswv.org/artworks/. The first activity opening at “the Works” will feature artists and artisans presenting their work in a co-op style gallery where visitors may purchase from a selection of local creations. Artists and artisans who wish to participate should email berkeleyartswv@gmail.com or call 304-596-0873. Several art exhibits are “in The Works” featuring local and regional artists in July and August and the Eastern West Virginia Juried Exhibit in September. October brings an exhibit of Eastern Panhandle photographers, and the fourth annual Holiday Art and Craft Market is slated for November and December. 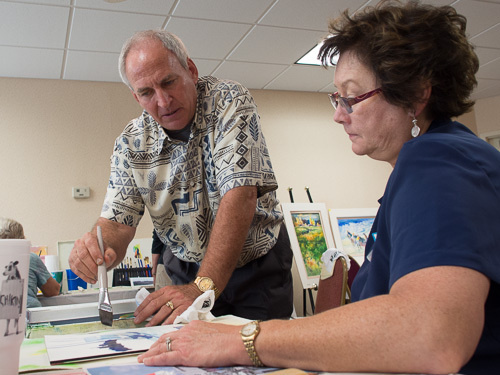 Beginning in mid-July, classes and workshops will offer the opportunity to learn such techniques as watercolor, pottery, jewelry techniques, mixed media, and introduction to art for children. A summer program is planned to begin in mid-July. To register, visit berkeleyartswv.org/artworks/instruction/. or call 304-262-1611. Berkeley Art Works is a service of The Berkeley Arts Council, a 501(c)(3) non‐profit organization incorporated in West Virginia working to ensure that Berkeley County has a vibrant, vital arts environment by promoting awareness, understanding and appreciation of the literary, visual and performing arts in the Eastern Panhandle of West Virginia. The Berkeley Arts Council is on the Web at www.berkeleyartswv.org. 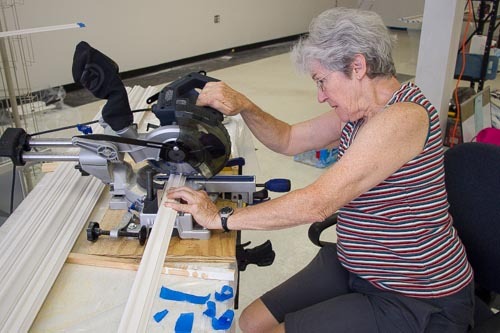 Saturday saw a lot of activity at 116 North Queen Street in Martinsburg as various Berkeley Arts Council members and friends worked to prepare the space. Malinda prepares picture rail molding to go up on the walls. Martha touching up the paint while Jeff and James are installing the molding. 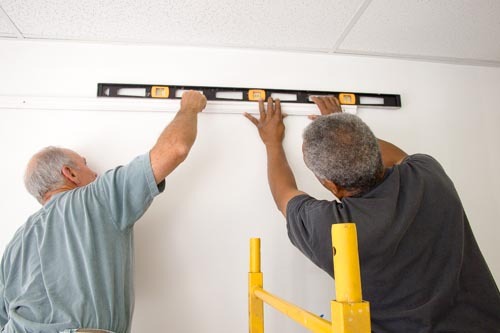 Jeff and James getting the molding level. 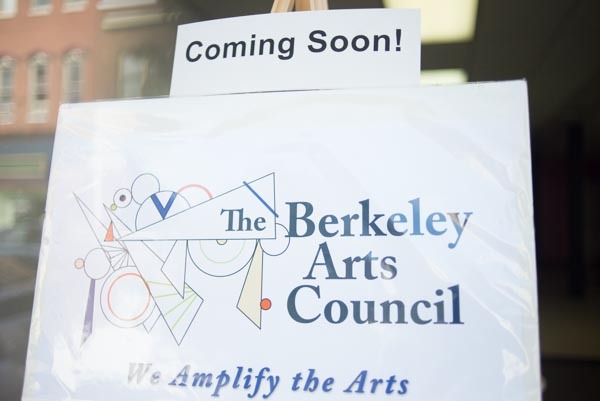 Stay tuned for some great news from the Berkeley Arts Council! 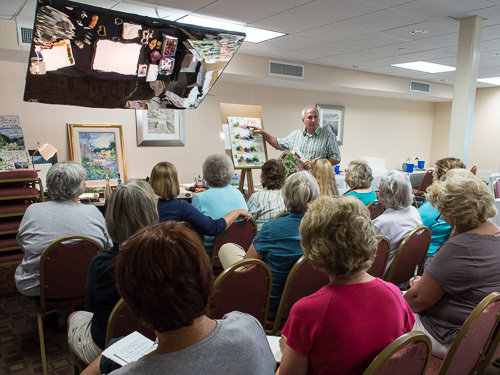 There is still space available for the Watercolor Workshop with renowned watercolorist and instructor Tom Lynch on Aug. 12-15 at the Berkeley 2000 Recreation Center in Martinsburg, WV. 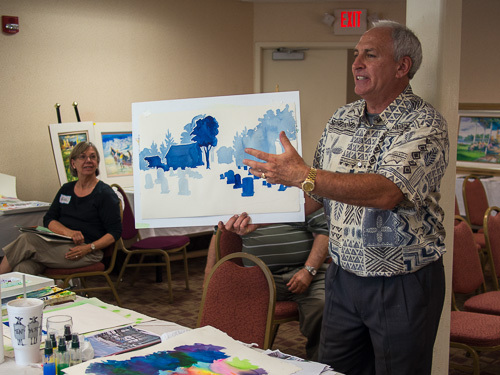 Tom Lynch is returning to Martinsburg after a successful workshop here last summer. The BAC is very excited to bring this opportunity to our regional artists and to invite artists from outside our area to join us for this excellent workshop. The cost for the four-day workshop is $400 plus food and lodging. Space is limited and participant registration is on a first come, first served basis. For more information or reserve a space in the workshop, please go to the Berkeley Arts Council website at https://berkeleyartswv.org/workshops/TomLynch.php.